I fell in love with this Jesus Saves, Bro shirt from Riley Clay Designs on Etsy (found via @modernminiresale and promptly ordered one for Declan in 12-18 months which he won’t be able to wear for a long while but I just can’t get over how cute he’s going to look waddling around in it learning to walk…I digress…) and came to learn that she sometimes sells goof up shirts like the one pictured below (@shoprileyclay on Instagram). Like I care that there’s a tiny white ink mark on the sleeve? Honey, that thing is gonna be covered in spit up in no time! Givvidame! 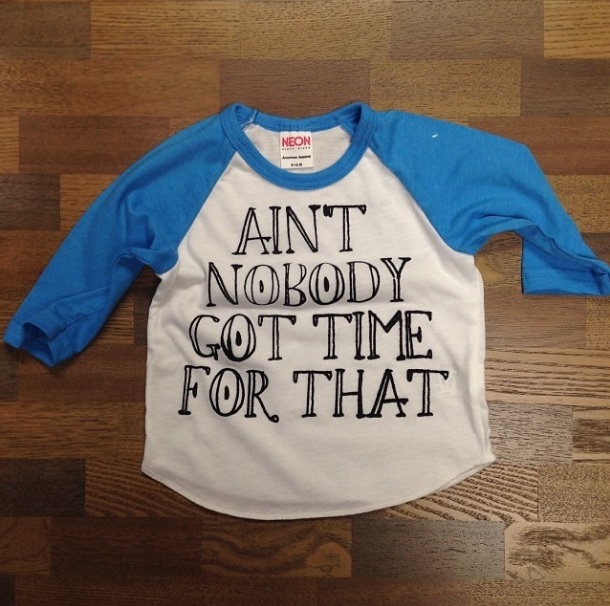 Also, her “Embrace Messy Hair” shirt for little ladies is adorable for moms who are just keepin’ it real. Another one on my list to buy? This Man Cub shirt and the Cali Cub tee, but I’m hoping to score them second hand because they’re pricey. Oh boy am I in trouble if Mumbles is reading all this…. It’s probably not a surprise that I went crazy on the after Christmas sales at BabyGap.com (puhlease, I don’t leave the house anymore. Remember this disaster?) and JC Penney. JC Penney??? Yes: JC Penney. That Joe Fresh line has too much good stuff, I tell ya! With the exception of the top gray sweater (H&M) and the white and blue pullover (from an Instagram shop), everything in the photo below is Joe Fresh. That red & black buffalo check coat? $12. For realsies. Other favorite brands to shop for baby are Peek, Prefresh, Sovereign Code (all available at Nordy’s), H&M and Zara — those gosh darn leggings are just toooo good! 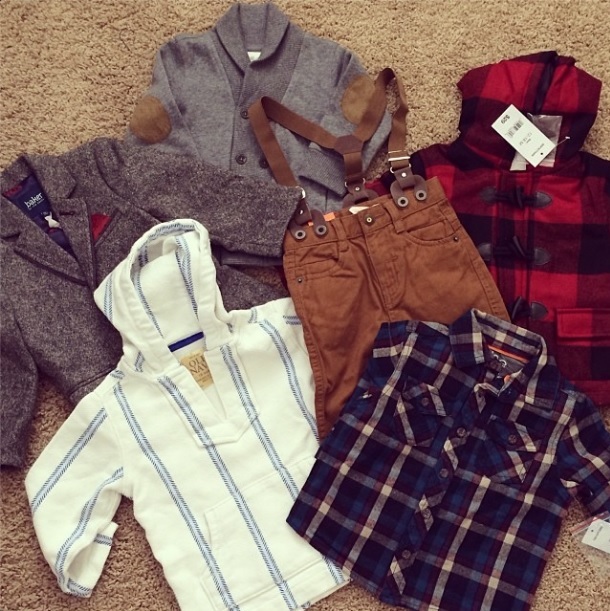 The J.Crew baby line is growing slowly but it’s still too expensive. Where are your favorite places to shop for the bambinos? Find more of my favorite little man styles on Pinterest. P.S. What are your thoughts on Freshly Picked moccasins? I know, I know. They’re totally adorable and chic. But, come on! They’re $60! I want this pair but I just can’t knowing Declan will only be in them for like 15 minutes and then he’ll grow out of them. I’ll probably cave and get him a pair for Christmas this year. What do you think? Have ’em? Love ’em?